1. Finally shred cabbage, carrots, broccoli and cauliflower stalks, discarding any tough pieces of stalk and placing in a bowl. 2. 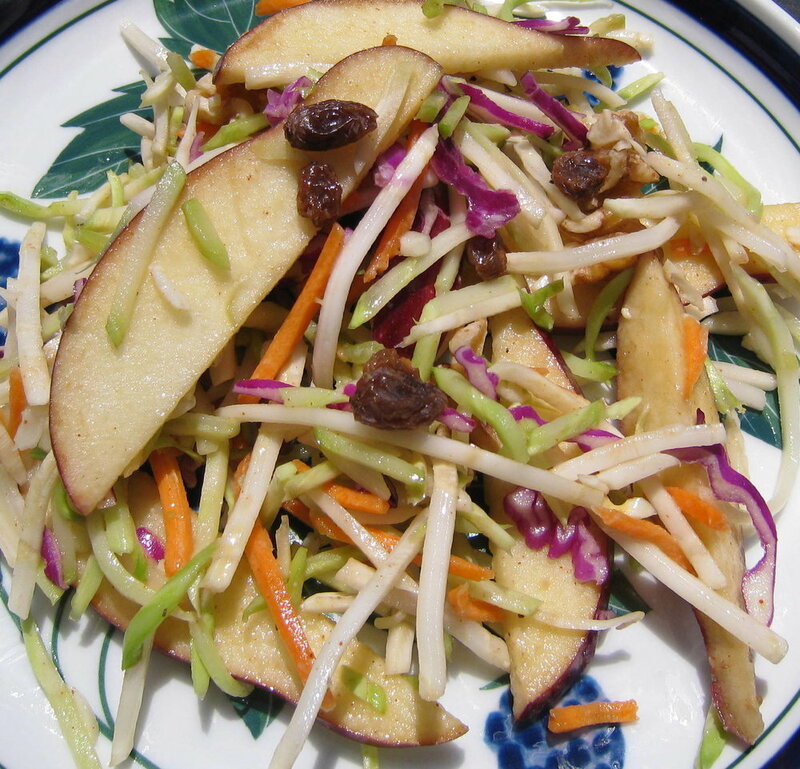 Thinly slice apples and pear, skin on, and toss with the slaw mixture. 3. Add raisins and walnuts and mix well. 4. For the dressing, whisk the mustard, honey, vinegar, orange juice, and spices until smooth. Pour over slaw and toss to coat. Chill in the refrigerator half an hour before serving.